Notice I did not say RVing in England! We wouldn’t want to drive a car on the narrow roads here, let alone an RV. So, how did we get around? The best way possible. We visited friends who live in England, and they drove! Tracey is a master at trip-planning, and Phil is an all-around fun guy with a passion for beer. We packed more fun, food, and learning into two weeks than we thought possible. 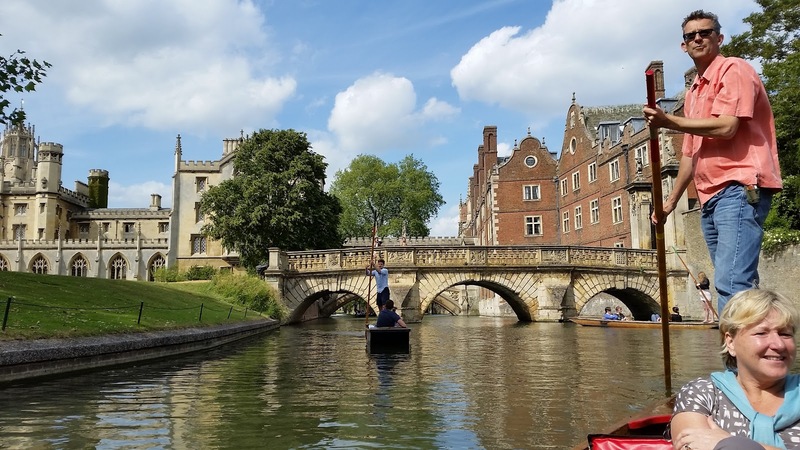 Phil attended Cambridge University many years ago and gave us an insider’s view by taking us “Punting” on the river Cam. That’s where you move a boat by pushing a pole along the bottom. Then we spent a few days with Tracey’s family on a rented boat, kind of like an RV! 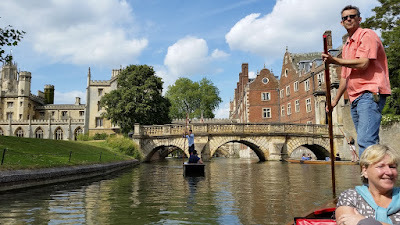 We motored around the waterways in eastern England called the Norfolk Broads. 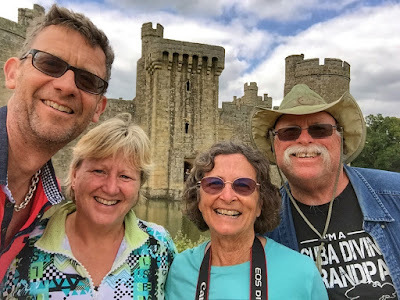 We went on to visit Sandringham: the country home of Her Majesty, the Queen, Chartwell: the home of Winston Churchill, Bodiam: a 13th century castle complete with moat, and the white cliffs of Birling Gap. If you are a beer drinker, a trip to Belgium is a must. 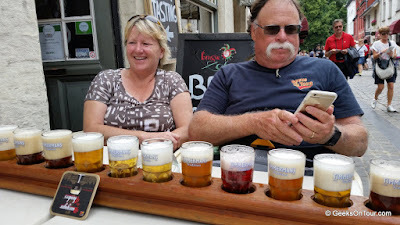 We went by car, putting it on a train to get thru the Eurotunnel, then a half hour thru a corner of France and an hour on Belgian roads to get to Bruges. We had the tastiest beers and the most beautiful sights you can imagine. Continuing our pattern of boating, we took delightful boat rides in both Bruges and Ghent. As I write this, we are on a very comfortable and quiet train on our way to London. We’ll see some sights, drink some more beer, and be on our way back to Florida tomorrow. Thank you Phil and Tracey for a most memorable, educational, and very tasty, holiday! p.s. We took most of our photos with our smart phones and made extensive use of the new Google Photos App to edit and manage the thousands of pictures we took. To learn more, see http://goo.gl/Jiqrzw We also used a smartphone with T-Mobile service for our Internet connection throughout England, France, and Belgium. At no extra charge, we were quite impressed.